So you want to be a goalie. To be a goalie, you need to be able to stand in front of pucks going nearly 100 kpH and react to the shot. Do you want to be a goalie? Ok well, you need to know two things: it is expensive and what equipment to get but what type of goalie are you? Doesn’t matter, I am going to cover both types in my next two articles. So a butterfly goalie loves to go down and loves to slide around rather than stand up and stop pucks like that. The pads are the most important for this style of a goalie. So this goalie is going to need a pad that slides well and seals in the ice perfectly. 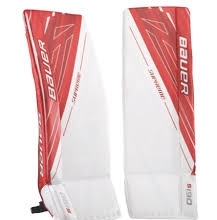 The pads I would recommend are the Bauer 1s pads. They are light and slide better than almost ever pad on the market. 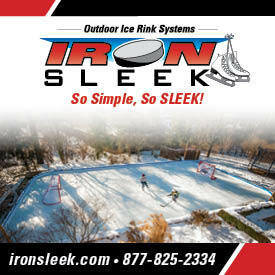 With a new fabric that causes less friction between the ice and the pad makes sliding easier than brushing your teeth. 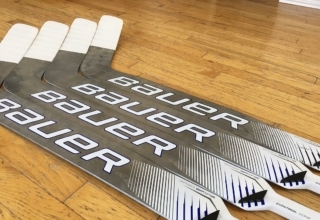 Also, Bauer has been working hard to make this pad able to kick pucks to the corners with authority. How they did this was with a revolutionary padding they are calling C.O.R.E. They have created a type of padding that is a stiffer and makes then pad more capable of kicking pucks away with more force. 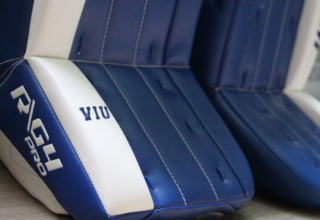 If you don’t want to break the bank with your pads there are cheaper options. The s190, s170, and the s150 pads are all cheaper options but are also a cheaper level of the build. A butterfly goalie would love to have a big glove and a big blocker so it is harder to be beaten upstairs as this style of goalie likes to be down on the ice and sliding around. 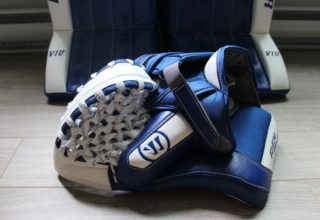 The glove I recommend is the CCM Eflex 2 glove as it is a nice big glove and closes like a charm. It is a good glove to have as a goalie just starting off as it is a bigger glove, but it’s more because it’s easy to open and close which is big when just starting out. The blocker, on the other hand, is a tough pick as blockers are different sizes, but it is about what feels right when you hold on to your stick. I recommend the original CCM Eflex 1 blocker as it works well for starting goalies and is not too fancy, but it’s a cheaper option and a good one. The blocker has a big face and a soft palm, which is good for absorbing the vibrations from the stick. 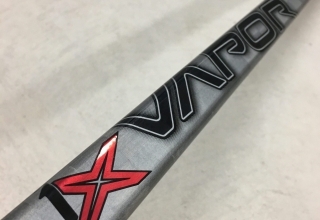 On that note, the stick I recommend is the warrior ritual vr2 as it is light and durable, so a starting goaltender can use it till it breaks and then find out what type of stick they like. 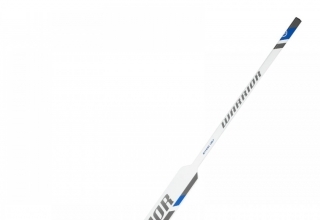 If they like the warrior then they may want to stay with the warrior, but if you don’t like the warrior, then I would recommend trying a CCM stick or find one that had more of a curve to the stick. The stick is something that is totally personal preference as it depends if the goalie likes to play the puck or not. 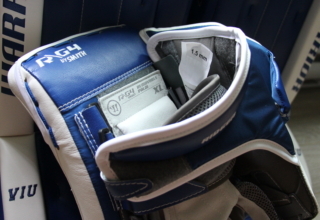 The next piece of equipment would be the chest protector as it is one of the most important pieces of equipment. 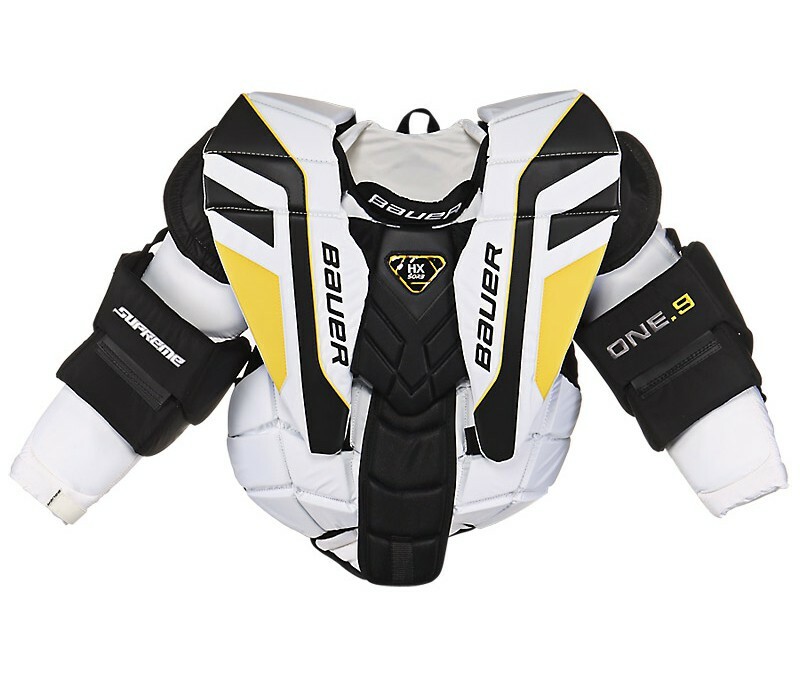 The chest protector I would recommend would be the Bauer Supreme one.9 as it is a big chest protector and is really easy to move in. As a butterfly goalie that is exactly what you want as you will be down on the ice to make saves for the most part. The pants I would recommend for the beginner would be the CCM Eflex goalie pants. They are a good fit for a starter and still a good fit for an intermediate goaltender as well. They let the goaltender play and lets the person be confident as they know they are well protected. One of the most important pieces of equipment is the one that is on top of your head, it’s your helmet. This is not something you should cheap out on so for this I have chosen one of the most expensive ones because without proper protection you won’t live nevermind play goalie. This helmet has extra padding with an uncertified cat eye cage. Make sure no matter what helmet you get that it is well padded and not breaking down quick. 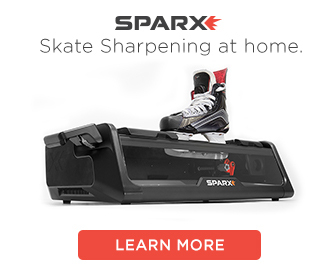 The final part is the skates and I recommend the Bauer 1s skates as they are a comfortable fit and are very customizable skates, as you can mold the boot to your foot for a comfortable fit. There is also the option of getting a different type of boot or cowling. So what did I say at the beginning, it is not cheap. This article covers the goaltenders guide on how to be the best butterfly goaltender with the best equipment. 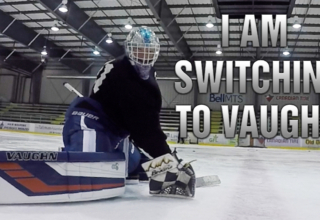 Stay tuned for the next guide on so you want to be a goaltender, hybrid edition. Hope it helps. So you want to be a goalie… 1) Craigslist 2) sales 3) Goalie Forums. I got my first set of gear for <$650. Then, save up and get newer/better gear when you find that you really need it.